Either the British drivers heading to Le Mans this year were exceptionally well behaved, or some major incidents are yet to come to light… updated. 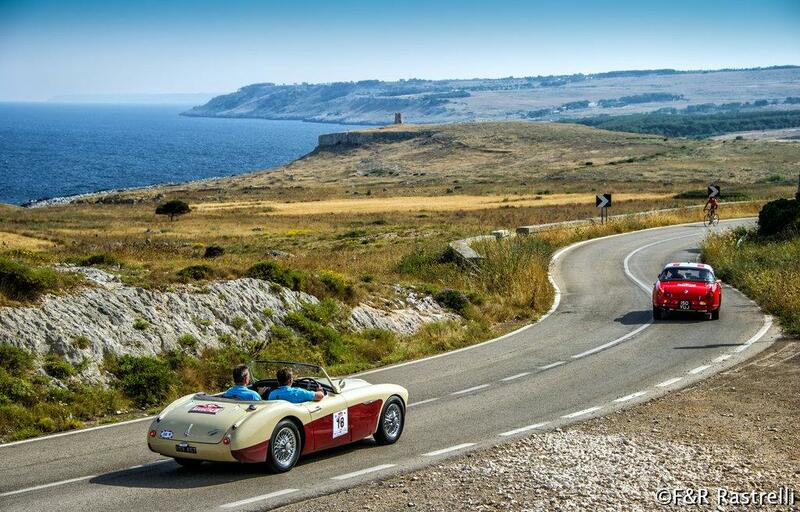 Also, the Classic Marathon kicks off in ‘tourist free’ southern Italy. Truckers upset over new toll system to strike in Brussels on Thursday. MyFerryLink services cancelled at short notice, without explanation. French minister floats idea of transit truck tolls in the regions. Very few visiting spectator incidents reported – initially – over Le Mans 24 Hours weekend. Updated. There were ‘no major incidents’ during the Le Mans 24 Hours weekend say local police. Of 876 breath tests, thirty resulted in prosecutions while 38 drug tests saw 26 positives according to a statement. Up to a third of the 263,500 spectators came from the UK to see Porsche claim its 17th overall victory, seventeen years since it last triumphed at Le Mans. Many of them will have made the 260 mile journey from Calais under their own steam. ‘The Gendarmerie line the motorways on the route down from Calais, with number plates from the other side of the channel their target,’ said the Daily Telegraph. However, @Gendarmerie reported just one major speeding offence: a Lamborghini Murcielago driver lost their driving licence and was fined €750 after being caught at 210kmh on the A28 near the circuit on Thursday afternoon. This pales beside the seven Brits flashed at more than 190kmh two years ago, including one man clocked at 250kmh in an Audi R8, and legendary tales of McLaren F1 convoys heading to the race at more than 180mph in the 1990s. Our twitter feed, which was full of police encounters last year, was more or less quiet on the subject yesterday. 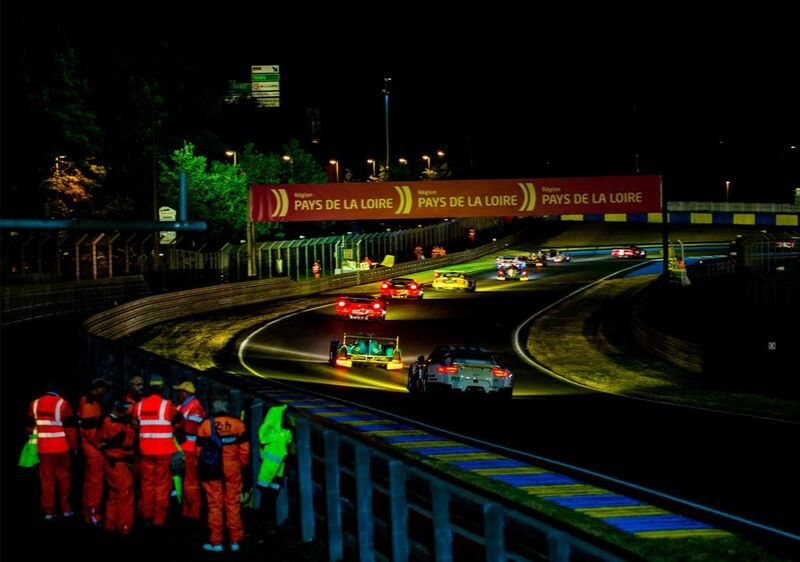 Meanwhile, despite delays of more than an hour into the circuit even as the race started at 15:00 on Saturday – and reports from @RadioLeMans of major jams in and out of the circuit on Saturday night – the major roads around Le Mans in the hours afterwards were almost completely congestion free. The only notable incident was this morning, an accident northbound on the A28 from the city but delays never reached more than thirty minutes. Update 16 June: according to LegisPermis.com, out of 2,000 drivers checked by police in the l’Orne region to the north of Le Mans, 12-14 June, 943 were found to be speeding and that ‘many of the offenders were of British nationality’. 291 of the offences were recorded by mobile cameras and 652 via radar cars. Eleven licences were withdrawn for drivers caught at more than 50kmh over the limit. However, police say there no accidents or casualties. roundup: BELGIUM. Truckers upset with the new electronic toll system due to start next month will hold an authorised demonstration in central Brussels on Thursday (18 June). It starts at 10:00 at Havenlaan, departing at 11:00 on a set route – avoiding tunnels – around the city finishing back at Avenue du Port by around 15:00. Organisers stress the intention is not to block roads. CROSSING THE CHANNEL. Late last night all MyFerryLink Dover-Calais services were cancelled until 13:30 this lunchtime. The company is yet to give an explanation though 300 people later reportedly joined a funeral procession in Calais for MyFerryLink boss Didier Capelle who died recently. It comes a week after Eurotunnel finalised a deal to sell the firm’s ships to rival DFDS. MyFerryLink subsequently announced it would cease operations on 2 July. This afternoon’s services resumed on schedule. FRANCE. Trucks in transit could be charged by individual regions suggested Ecology minister Segolene Royal in a TV interview this morning (via AFP). It would be most useful in places like Alsace she says where trucks divert through France to avoid German tolls. The plan would also mean the – very expensive – charge gantries erected for the aborted Ecotax truck toll scheme could be pressed into service. when are you going to do a piece on Malta?